Displaying the same intermittent morality that convinced it to proudly drop Donald Trump as host of The Apprentice but then bring him on The Tonight Show multiple times and give him his very own toothless episode of Saturday Night Live, NBC has decided to suspend Today host Billy Bush for the comments he made in the tape that leaked on Friday of Trump talking about how can he do whatever he wants to women because he’s famous. Initially, Bush was expected to comment on this controversy during the show on Monday morning, but now he won’t be on the show at all. Bush later apologized for his behavior in the leaked audio, but that apparently wasn’t good enough for NBC. In fact, the Variety report suggests that Bush might not return to Today at all, with “one person familiar with the situation” claiming that NBC News is currently trying to determine if it should end his contract entirely. It’s also probably worth pointing out that it was in an interview with Billy Bush that Olympic swimmer Ryan Lochte first began pushing that entirely made-up story about being robbed at gunpoint during the Rio De Janeiro Olympics. In other words, Billy Bush isn’t doing especially well for the NBC brand these days, which is precisely why he’s not going to be hosting Saturday Night Live anytime soon. 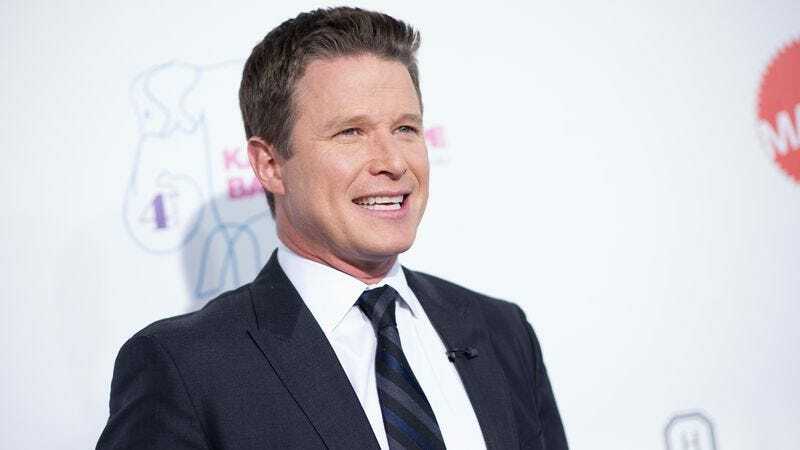 Donald Trump may be making America look bad, but Billy Bush made NBC look bad.